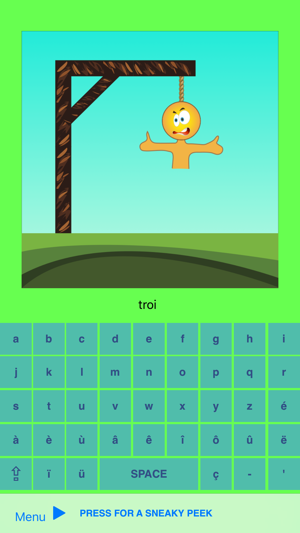 French Spelling Hangman is a fun and easy way to prepare for school French vocabulary tests. 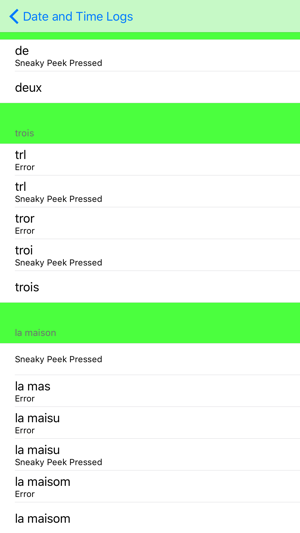 To create your own tests, enter each of the words in French and record in English. 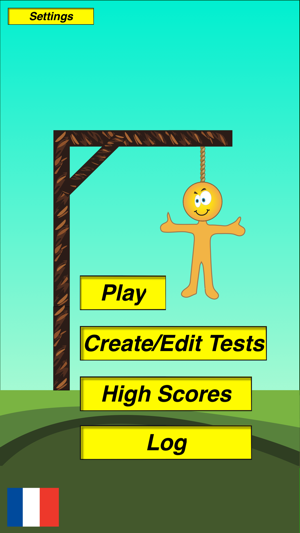 You will then play a hangman style game with 'sneaky peeks' to help the learning process. You will hear the word in English and will then be required to enter each letter in order, in French, but watch out, if you make a mistake, hangman will start to appear. Stuck? - press and hold the 'Sneaky Peek' button to look at the word. It might sound like cheating, but each 'Sneaky Peek' adds a hangman stage. When you have finished your test, check your scores. High scores will be saved for you to try and beat next time. Tests may be shared between devices via email, Airdrop and iMessage. Appropriate passcode protection is available. Feedback and feature requests always welcome. I played the app with my son. He is learning French now. 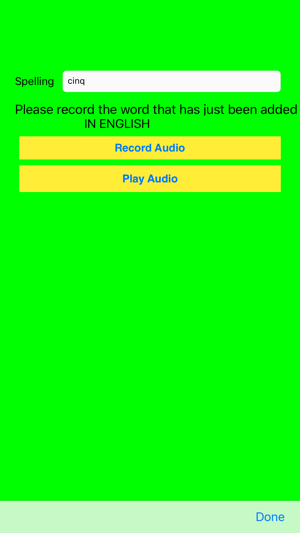 I set up the test level, record audios, typed in the correct answers. Then my son started to test. He was quite excited to get everything right. And I have to make more tests for him, which is a good thing. Nice design!